We are delighted to reveal The Craftsman Timber Frame Fall Feature Home from Timberhaven! 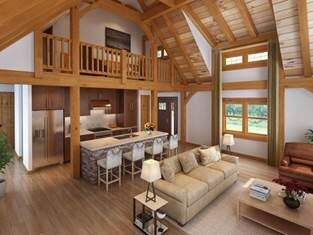 Of course, no rustic, yet modern timber frame home would be complete without a charming front porch. Delivering increased curb appeal here with its stone accent columns and stunning timber frame porch members. 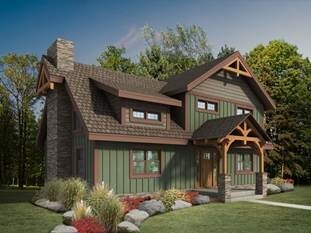 Nothing says welcome home like the front façade of the Craftsman design! 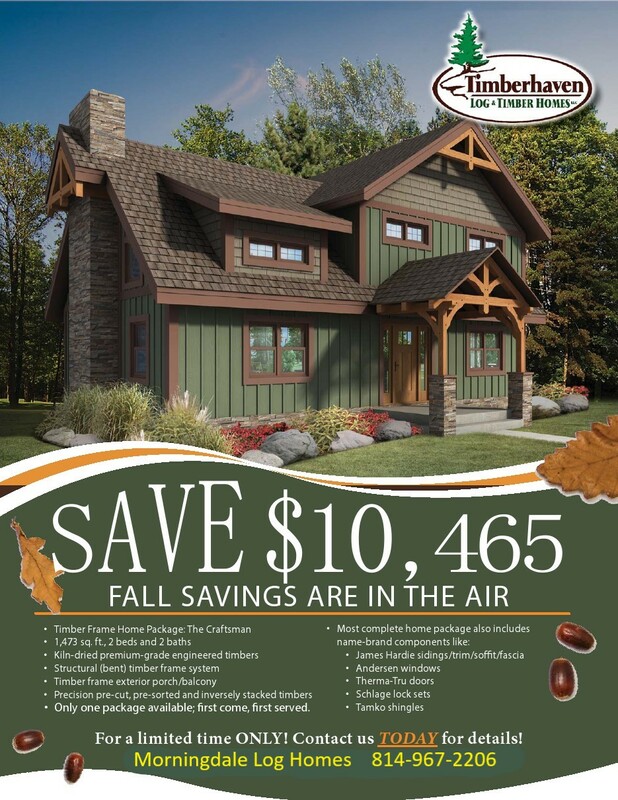 Only one timber frame home package is available at this discounted rate! Name-brand windows, doors, shingles and exterior envelope with James Hardie sidings/trim/soffit/fascia. See the Materials Estimate for complete package details. No changes can be made to the plan or to the package components. See option list for the insulation upgrade for built-up roof system from R-40 to R-54. Deposit by December 31, 2018. Feature home promotion expires December 31, 2018. This price includes Zone 1 Shipping. Costs for delivery beyond Zone 1 will be added, see option list for details. Sales Tax will be collected where applicable. 10% deposit is required. Total 20% pre-cut deposit. Balance on delivery.